radiography, producing incredibly crystal-clear x-ray images. The Dream Sensors are the thinnest CMOS Sensor on the market today. Affectionately termed the Dream Sensors, DentiMax digital sensors represent the latest technology in digital radiography. These sensors excel in every area, including image quality, patient comfort & hardware/software compatibility. state-of-the-art technology is encased in hermetically sealed water-tight housing connected directly to a tungsten reinforced cable surrounded by a protective Kevlar mesh—providing the tightest sensor cord/cable in the industry. What does this technology mean to you? 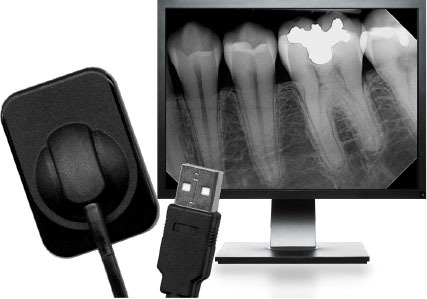 DentiMax sensors take beautiful x-rays with minimal effort and are quality built to last for years. From an image-quality standpoint, DentiMax sensors have truly earned the right be called the Dream Sensors. concordance. DentiMax’s thinness and rounded corners exponentially increase patient comfort. In fact, practices that switch to DentiMax sensors often nd that patients will comment on how comfortable DentiMax sensors are. 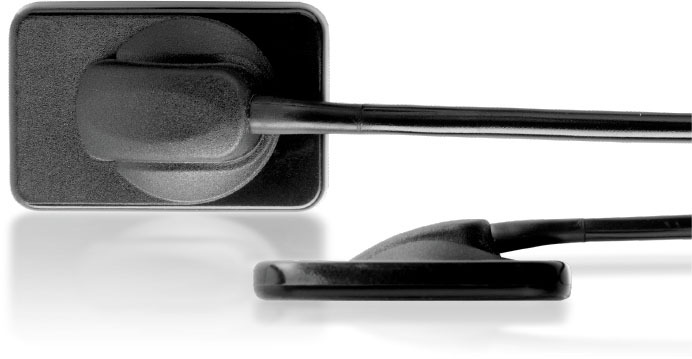 Knowing that one size of sensor will not t every mouth, DentiMax sensors come in a size two and a size one. The size two sensor is normally used for adult mouths and is known as the “workhorse” sensor. This is the sensor you use to take the majority of your x-ray images because it has a sizeable x-ray footprint making it ideal for diagnosing. To accommodate children and adults with small mouths, you use the size one sensor. With two sizes of DentiMax sensors, you are well-equipped to accommodate the comfort of every patient who walks into your practice. DentiMax is a technology leader with the knack of making software that is extremely easy to use. What does this mean to you? DentiMax Software ows just like your dental of ce. From checking in a new patient, to viewing x-rays while treatment planning, to scheduling additional patient visits, DentiMax mirrors your practice’s actual work ow. And the software is packed full of easy-to-use but powerful features like electronic prescription writing, tight x-ray/charting integration and “live” patient insurance status updates. 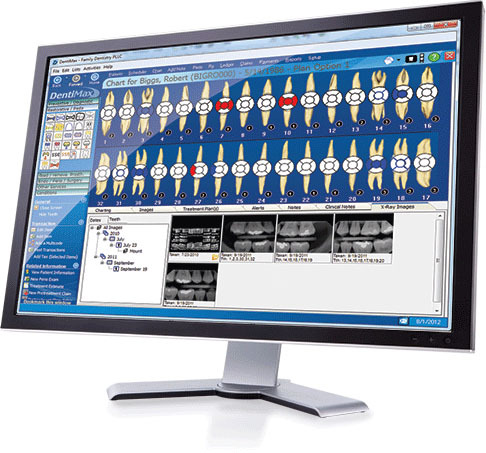 DentiMax takes dental software technology to a whole new level! 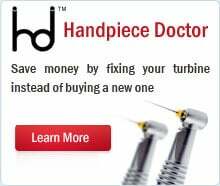 Finally, a scheduler that emulates the work ow of your dental office! Call the appointment book your “home base” because you can access virtually everything you need from it. From the appointment book, you can ow over to your patient’s charting screen, x-rays, prescriptions, ledger, perio exams or whatever you might need to access. Additionally, you can create and email your own appointment reminders to patients, move multiple appointments from one day to another, block off time for certain types of appointments and days off, double book appointments, designate doctor and hygienist time needed for appointments and customize the appointment screen to display whatever unique information your practice needs. Get quick, accurate answers to financial questions. are not paid at all. Now you and your staff can provide quick, accurate answers to patients’ nancial questions. Today’s ultra-competitive market requires top-of-the-line practice management software that is completely integrated with state-of-the-art digital x-ray sensors. The DentiMax Complete Digital Sensor & Practice Management System provides the integrated benefits that only a complete system can offer—making the clinical and financial areas of your office work in a cohesive way that takes care of both your patients and your bottom line. Recording clinical notes with the all-new clinical note builder is fast, ef cient and extremely easy to use. Click on any tooth from the patient’s charting screen to view that tooth’s corresponding digital x-rays. Create treatment estimates with digitally captured patient signatures. Text and email appointment reminders. True electronic health records software. With the DentiMax Time Clock, track employee time, attendance, make time corrections, and print detailed hours and payroll summaries. Electronically capture & store documents. Organize, capture and store: (1) patient insurance cards, driver’s licenses and ID cards (2) patient signatures on your own nancials, privacy and patient release forms and (3) all printed documents. Process credit card payments directly in DentiMax. By processing your patients’ credit card payments directly in DentiMax, you will reduce your counter clutter as well as the costs of accepting credit card payments. works with virtually all intra-oral cameras on the market. software. Or, with a little bit of notice, we can make arrangements to train your team, in your of ce, with your equipment.